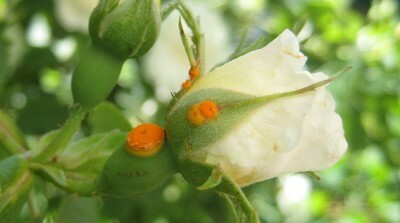 The 6 main pest and diseases of rose & how to treat them. 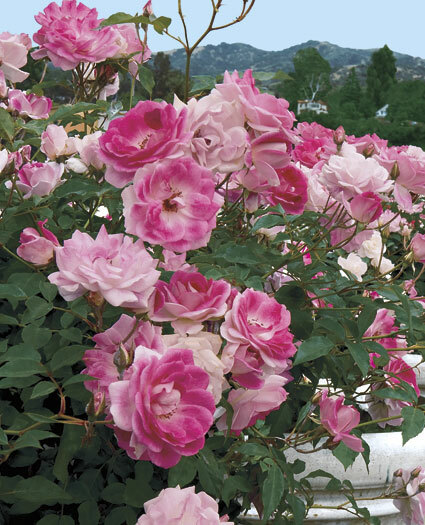 general pest & disease control Will remember that I use the IPC method on all plants especially roses. So you will just need to skip this paragraph until you get to the one you that you know. For those that are new . I will briefly explain what IPC is before going on to the Pest and Disease section . These are caterpillar-like larvae, which feed on the leaves of your roses in the spring. They are about 1 ¼ inch long and are light green, some with black spots. 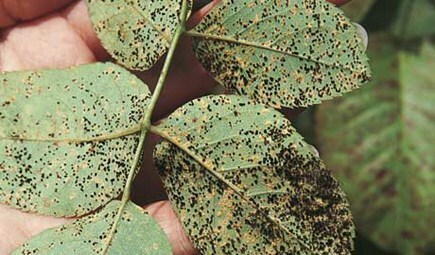 If you get on top of this pest right away, you should be able to control them by simply hand-picking them. 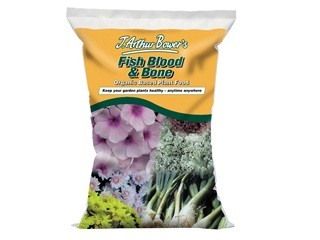 Look for them on the undersides of the leaves. 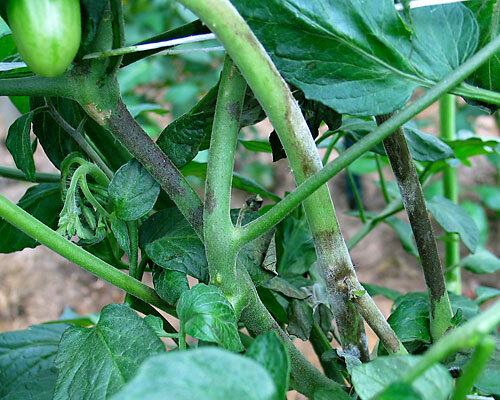 As you can see from this picture these pest can be easily Identified & tend to swarm in colonies attacking anything that is green and sappy whether it your green beans or bedding plants to roses that have been over feed with high nitrogen fertilizer to produce sappy growth . 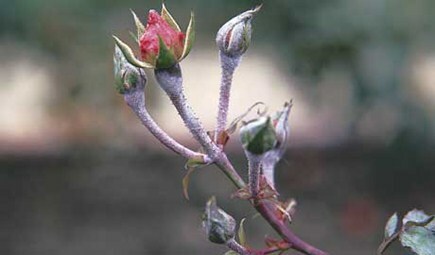 The best way to prevent your roses being attacked by these pest is to carefully check your feeding of roses. Good hygiene too don’t compost any infected plants in winter as the females lays its eggs in the autumn on plants to feed its nurseries and ounce the eggs has hatched in spring they fly off on to much better food supply and the circle begins. 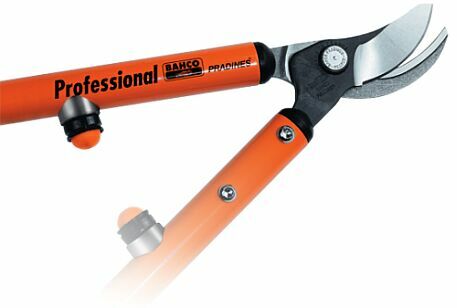 is comparatively expensive, but effective – if you can create the right conditions. 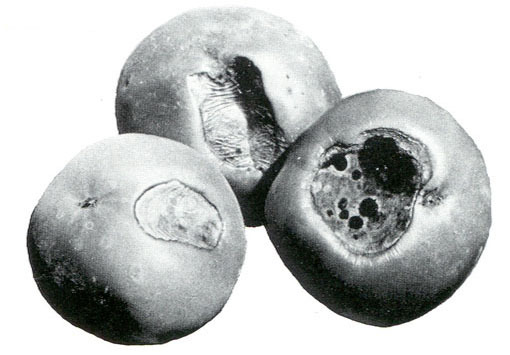 The main problem being that there will be a time lag between being able to source the biological control of Blackfly. 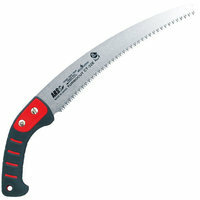 Together with this, there will need to be enough Blackfly for the biological predators to act upon. 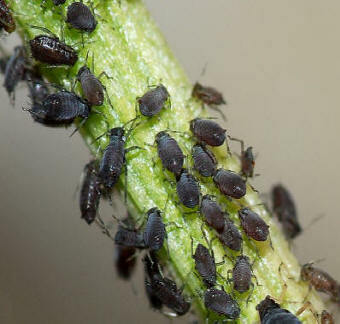 This discovery has applications for pest management – the aphid sucrase enzyme could be a suitable target for specific inhibitors that would abolish its dual role in osmoregulation and carbon nutrition of the aphid. Current research is focussing on determining the mechanism – it’s possible that an anti-microbial with the symbiotic bacteria as the primary target may have evolved in certain plants. 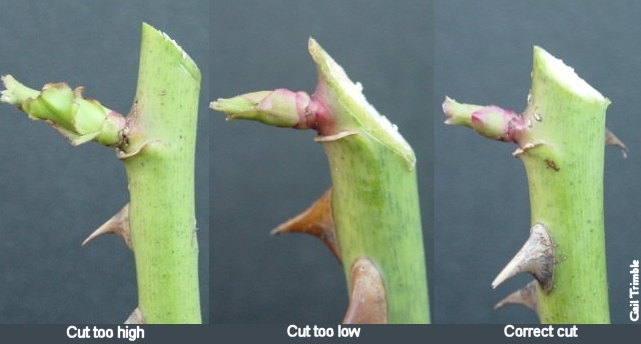 If you seen any signs on your roses whether on the leaves or buds its best to prune them out to avoid the spores from spreading any further. 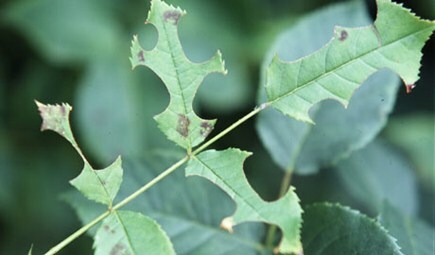 remove infected leaves and incinerate to prevent the spores from spreading like Black Spot spores lay dormant in the on the soil surface until they are either splashed up by the rain or watering from above or carried up by insects especially ants . So clearing the ground of debris around the plant is a must. 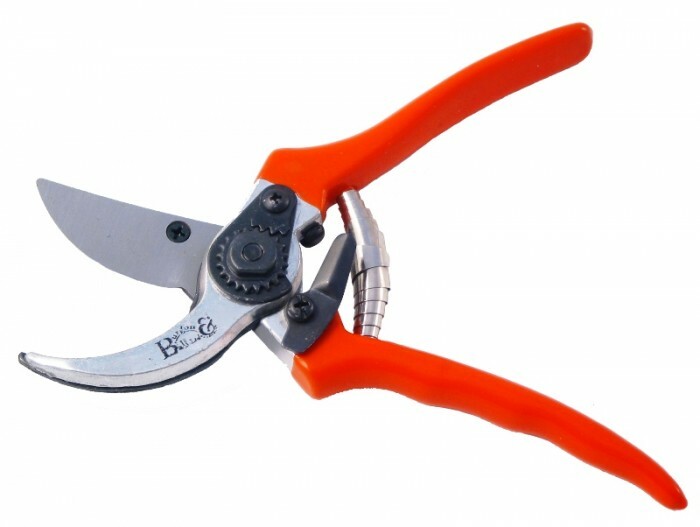 Pruning – By leaving the center clean and cutting out crossing branches improves the air circulation around the plant thus reducing the breeding grounds for the spores to live by drying out the leaves and buds. 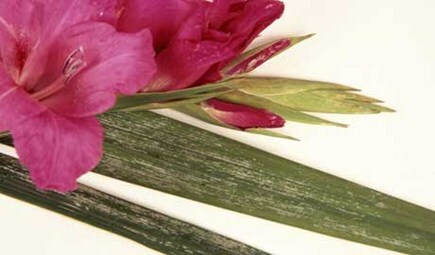 Avoid working on rose beds when its wet as you can spread the spores by simply walking around . 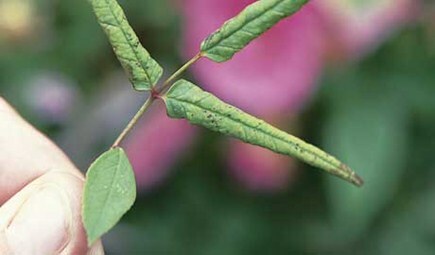 When you see the first signs of rust spray the entire rose bush with a copper formulated compound examples can be found here until the bush is cleared giving it a good drench. 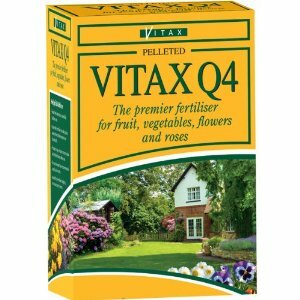 Vitax 2 in 1 pest and disease control spray Yet I haven’t had the chance to test it out yet. 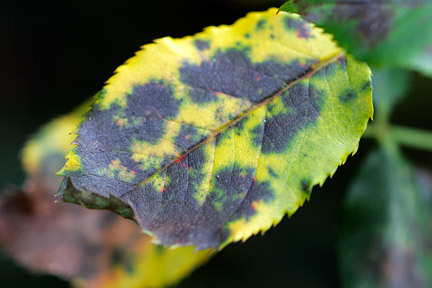 Black Spot – as You can see by this image this too easily recognized by it instinctive black splotches that are actually spores . 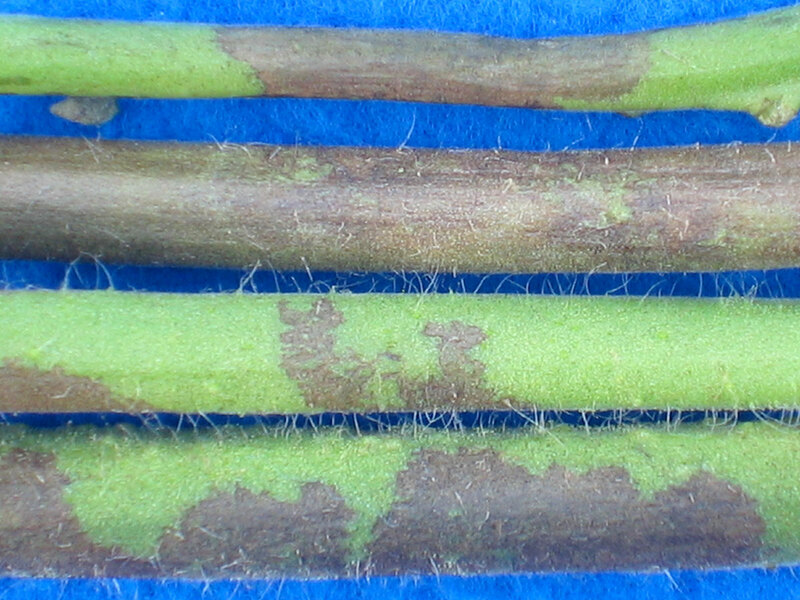 The thin white threads are in the roses stem. hence once you see it its pretty much that there is no real cure for it except to either live with it or destroy the bush all together. 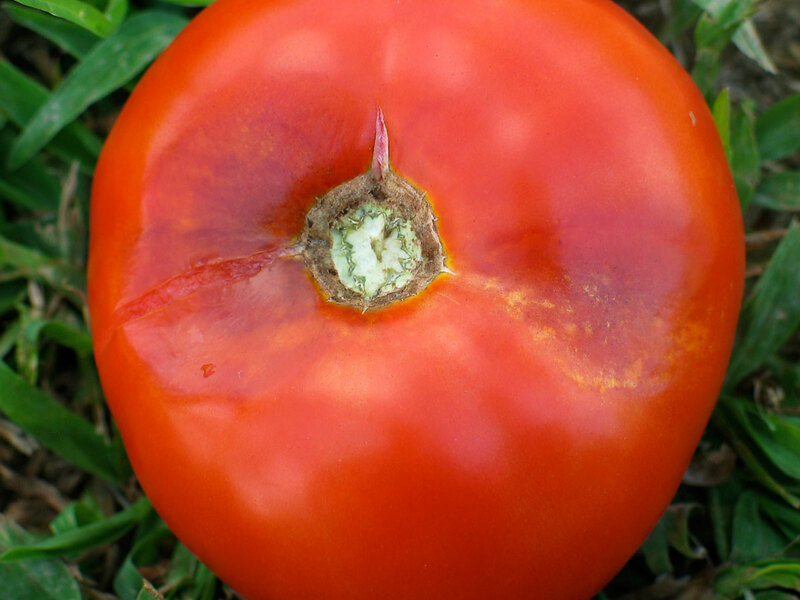 This entry was posted in Spring Sowing and tagged Aphid, Beneficial insects, Blight, Chemicals, Coir, Disease, Downey Mildew on December 5, 2014 by IDogardening4U.